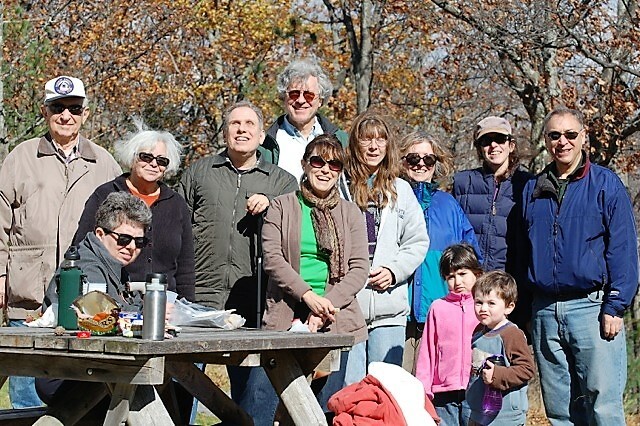 Guardians of the Earth: Shomrei Adama is the environmental awareness and action committee and program at Ohav Shalom. In 2018 Ohav Shalom was chosen to participate in the Hazon Seal of Sustainability program. We are one of only nine institutions across the country to participate this year! The Hazon Seal of Sustainability certifies a Jewish organization’s commitment to sustainability, environmentally-friendly practices, and reduced impact on climate change. Participating in the Hazon Seal signifies that Ohav Shalom, along with a network of more than 50 Jewish organizations, is emerging as a leader in the realm of Jewish sustainability. We apply the contemporary understanding of Jewish values such as tikkun olam (repairing the world) and tzedek (justice) to include protection of the world around us. If you look around our synagogue you will notice several important items: a Recycling Station when you first enter by the office to encourage recycling. We have single-stream recycling bins in every classroom and new, energy-efficient windows. We also have Zero Waste Shabbat experiences, and a recycling plan. In the summer of 2018, thanks to our Zero Waste Shabbat Experience we diverted 780 pounds of waste from landfills! The synagogue is adding Shredding Days to assist our congregants by providing an environmentally sensitive method of disposing of their confidential documents safely. To learn more about the Hazon Seal of Sustainability please go to www.hazon.org/seal. If you are interested in joining Shomrei Adama, please contact Leona Kassoff at hottamalee@jlkassoff.com or 518-478-9662.